Beauty is in the Eye of the Beerholder - Weathered Vintage-Style Tin Sign | BUDK.com - Knives & Swords At The Lowest Prices! 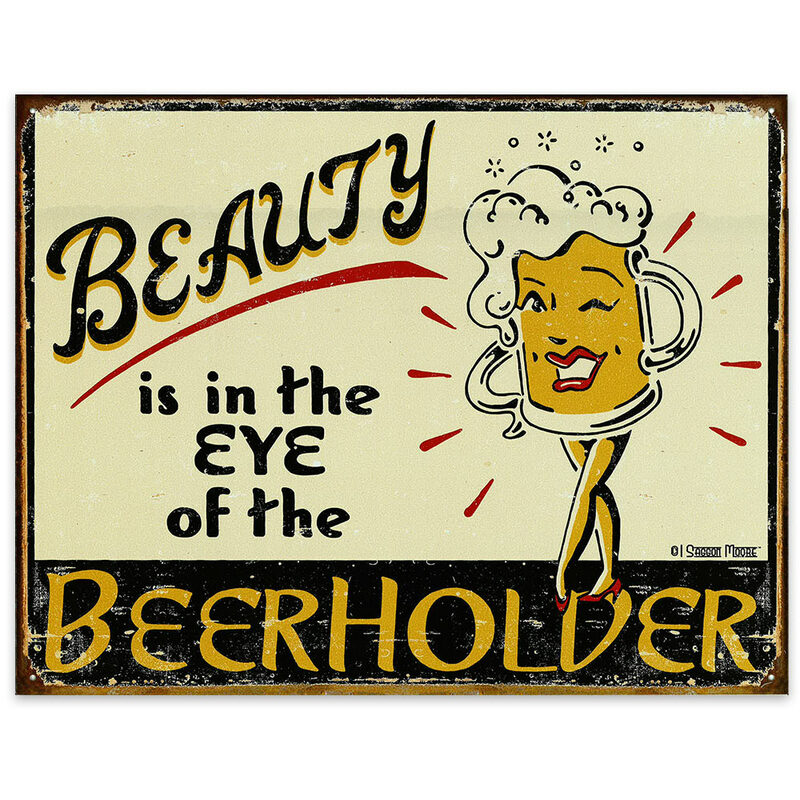 Reads, "Beauty is in the eye of the beerholder"
Stylishly weathered and undeniably charming, this cool 16" x 12 1/2" tin sign features amusing text and alluring vintage art. "Beauty is in the eye of the beerholder," the sign reads, next to a unique illustration of a beer mug stylized with feminine human features like winking eyes, ruby red lips and legs that would be the envy of any mid-20th century pinup girl. The mug's frothy beer head even cleverly doubles as a fashionable hairdo. This chic placard is made of durable, corrosion resistant metal and features brilliant, fade resistant inks and a realistic aged patina. Eye-catching and timeless, it's perfect for a man cave, garage, living room, office, bar or any space that could use a bit of classic 1940s flair! Get two - one for yourself and one to gift to a drinking buddy!